Close your eyes and allow your mind to drift off to a place of tranquility and insurmountable comfort. Imagine an ingeniously stylish accent chair that combines a velvety-soft and supple cushion with the support and firmness of harder plastic. Envision the look of surprised anticipation on the face of your guests when they find out that this is where they'll be sitting at your next get-together. And daydream about just how great it'll look, with its neutral colour and chrome-finished legs. Now open your eyes, and turn your fantasies into reality with this sublime accent piece that can't wait to be put into your home. Style your home with this inviting chair from the CorLiving Collection. Sink effortlessly into comfort with the LAD-728-C tub chair with its gentle curved back and sloping arms. Wood frame construction gives a sturdy foundation of support while the durable and stylish blue velvet upholstery is complimented with double stitched detailing. Revive your living space with this versatile chair, offering great value and a timeless look that makes the most of your room setting. 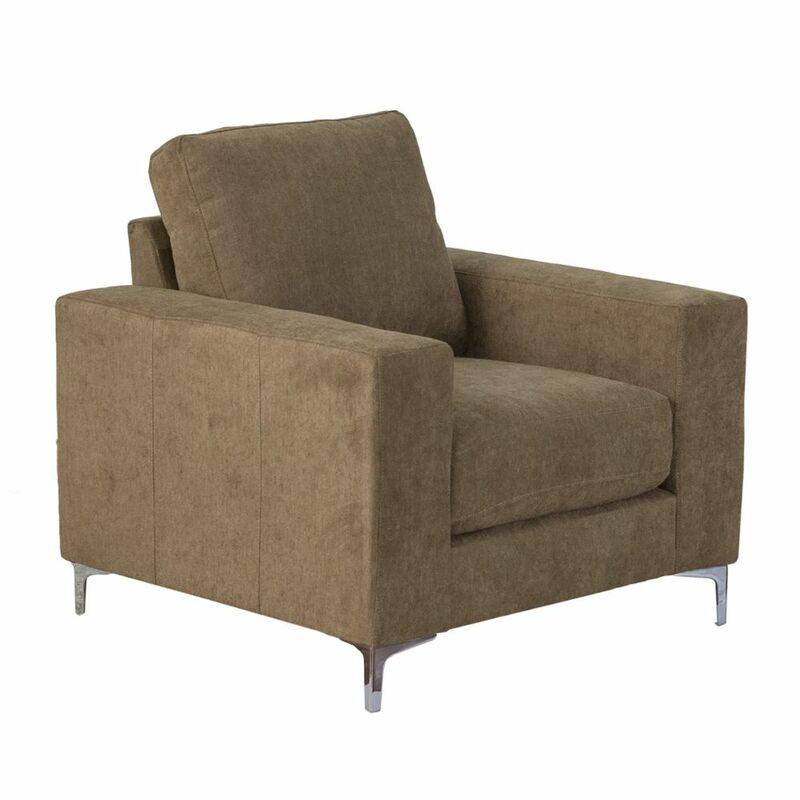 Cory Brown Chenille Fabric Armchair This fabric chair is designed with angled armrests and chrome legs that deliver a soft modern aesthetic that is visually stunning yet versatile enough to go into any living room. Wide arms, supportive cushions, and upholstered in a soft fabric, this chair is a product of thoughtful, uncompromising design. The removable backrest allows this chair to be easily moved through door frames.